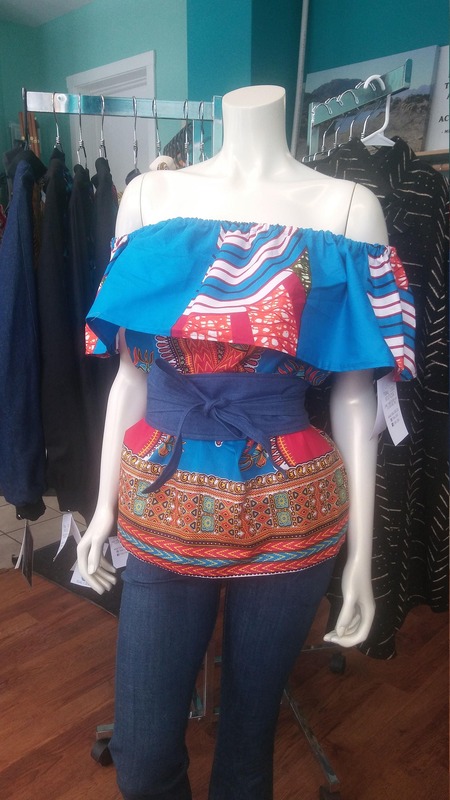 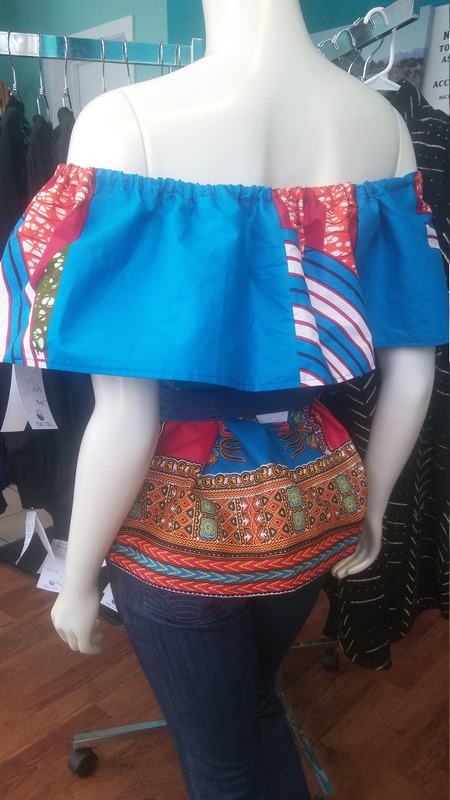 Beautiful off the shoulder Ankara flounce top featuring a single flounce layer with an elasticized off-the-shoulder neckline. 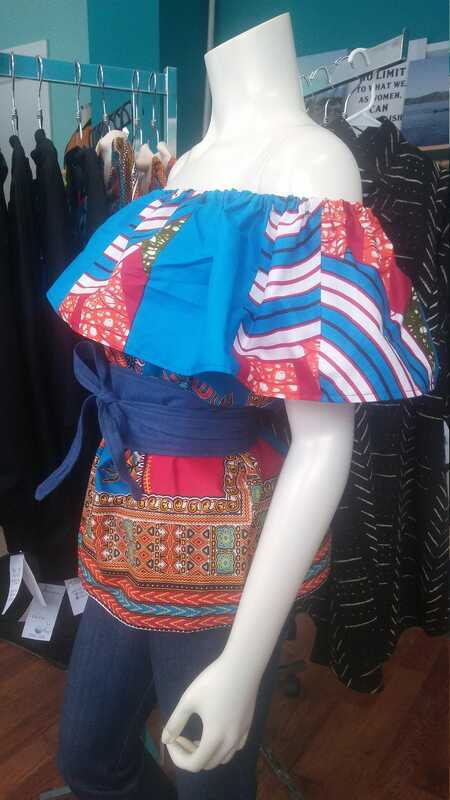 Made with wax block cotton in dashiki print.. 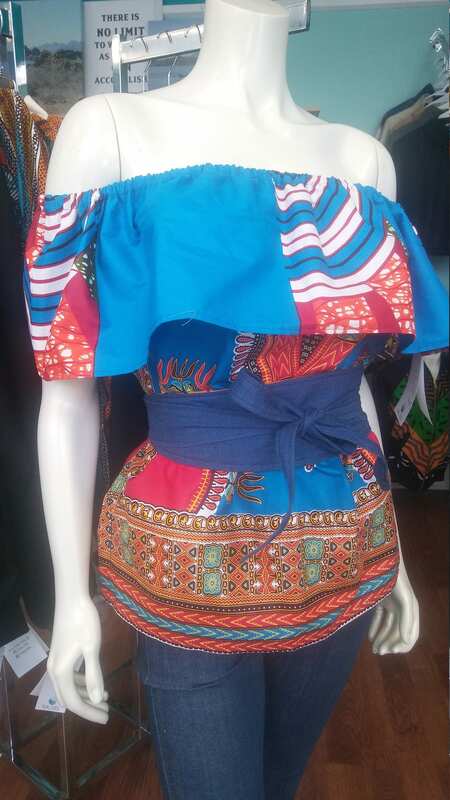 Shown with Tidal Cool Obi belt, belt sold separately.